Resume a Course: To resume a course, login to your account at the top right side of the page. Next, go to "Pending Programs/CE" in the top gray toolbar. 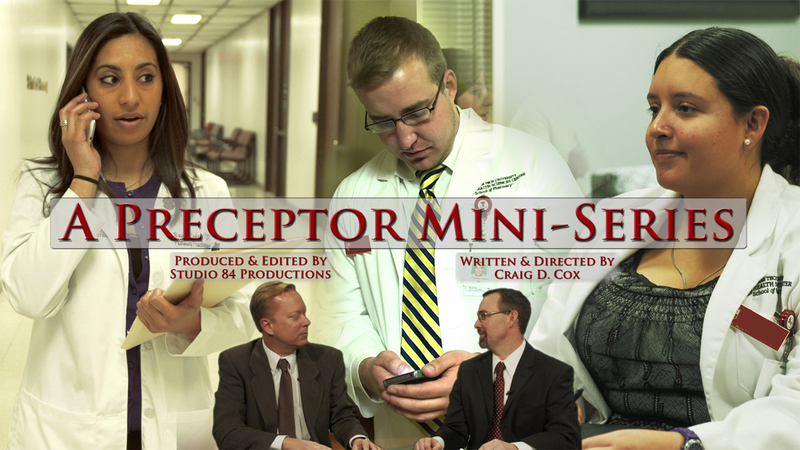 Select the "Distance" tab and then select "A Preceptor Mini-Series: Preceptor Pharm. Tools." NOTE: This program is FREE to any State of Texas Preceptors. For non-Texas Preceptors the cost will be $30 for the 3 hour CE program (see below). Individuals will be audited to ensure they are current State of Texas Preceptors. Those found to have claimed FREE CPE credit for this program who are not Texas preceptors will have their CPE credits removed from their NABP eProfile. Program Expiration: CE program will be available until 03/25/20. Participants will have opportunity to access all materials until that date. After this deadline CE materials will no longer be available. You will have the opportunity to obtain CE credit for each individual video episode (0.25 contact hours). You may complete the video episodes in any order, HOWEVER, it is strongly encouraged that you do them in order (Episode 1, 2, 3, etc.) since each video episode builds upon the next. You can complete the video episodes at your own pace. They do not need to be all completed during one online session. If you complete all 12 video episodes you will receive 3 contact hours of credit. To receive credit for each individual video episode, you must view the video episode and complete the corresponding evaluation. For any individual video episode you fail to do this in its entirety, including the reflection questions, your credit for that specific video episode will be removed from CPE eMonitor. **To Register for this Program: Select your fee type and then hit "Purchase Now" at the bottom of your screen. If you would first like to read a description for each of the video episodes included in this course, please do so below. What potential challenges do you see the preceptor facing with these students? How could you prepare in advance to deal with these challenges? Learn as much about your students/residents as you can before the rotation begins. This can be through portfolios, biography forms, or other means. Don’t give up before it starts. Things are not always as they appear. Go into each new experience with an open mind and don’t dwell on the past. Identify student/resident characteristics that may pose challenges during an experiential rotation. Prepare a comprehensive rotation plan based on individual student/resident characteristics. Ask students/residents what they want to get out of the rotation. Let them review the schedule. Ask them their opinion on the design of the rotation. Develop the experience TOGETHER. This will help them to take ownership of their learning. They should really be doing just as much talking as you are. Describe elements of a quality orientation that should be provided to students/residents at the start of an experiential rotation. Design an orientation addressing the different learning tendencies of students/residents. What were some things the preceptor did well during the feedback session? What could the preceptor improve on? What impact could the relationship between the medical and pharmacy students/residents have on the rotation experience? Prioritize constructive feedback; no more than 1-2 issues during a session, otherwise the student/resident will not remember. Feedback should occur on a frequent basis, not just at the midpoint and final. Discuss important principles to consider while providing feedback to students/residents during an experiential rotation. Identify an appropriate response to a challenging preceptor and student/resident feedback session. Are you aware of the penalty (if any) that a student/resident who arrives greater than 30 minutes late to their rotation should receive based on the policy and procedure manual(s) for the schools/college(s) for which you precept? If yes, what is the penalty? If no, how would you handle this situation? How would you handle the situation in this scenario to prevent the “late” student/resident from having a negative impact on the experience for the other student? What steps should be taken? List one thing you learned during the program that you intend on incorporating into your rotation experiences with students/residents? Know the school policies/procedures and go over them with the students/residents at the start of the rotation. Be sure they are aware of the consequences and apply them as necessary. Immediate versus delayed feedback to students/residents is critical when issues arise. Failure to provide immediate feedback will allow students/residents to take advantage of you as a preceptor. Describe the importance of providing immediate versus delayed feedback to students/residents not adhering to experiential policy and procedures. Identify an appropriate response to a student/resident arriving late to an experiential rotation. What did the preceptor do well during the feedback session? What are things that the preceptor could improve on? Please describe the “sandwich” feedback method. Have you ever utilized this method with students or residents that you have on rotation? List one thing you learned during the program that you intend on incorporating into your rotation experiences with students or residents? There are a variety of ways to give feedback. A few examples include; “Cut to Chase” or the “Sandwich Method”. The challenge is to know when to use them. Recognize that different learners need to hear different words during a feedback session. You need to take control of the feedback session, don’t let students run the show! Describe the impact student’s learning styles may have on their response to constructive feedback. Discuss the frequency by which constructive feedback should be provided to students. Have you ever faced a student or resident scenario like this? How would you have handled this situation? Do you routinely use other health care professionals to help you deliver a rotation? If so, what are potential benefits/challenges that you have experienced? If no, what benefits/challenges do you perceive? List one thing you learned during the program that you intend on incorporating into your rotation experiences with students and residents? You should brief other health care professionals that will interact with your students or residents on their role that they will have during the experience. It should be a team effort so all parties benefit. Be sure to provide your contact information to other health professionals should an issue arise with your student or resident when you are not present. Recognize how other health care professionals can contribute to success and/or failure of a rotation experience. Prepare a plan to deal with a student that acts unprofessionally toward other health care providers. Do you routinely meet with other health care professionals to discuss your student’s performance? If so, how often and what benefit do you get out of doing this? If no, what potential benefit do you see in doing it? Do you allow other health care professionals to assign your students assignments (in service, drug information question, etc.)? If yes, what type of assignments? If no, do you see the potential benefit in allowing them to do this? Do not let your students on their own until they are ready. Remember their actions are a reflection of you. If an issue occurs it is better to confront it, no matter how uncomfortable it is, because if you don’t things could only get worse. Describe how student performance can impact a preceptor’s relationship with other health care professionals. Discuss how to prevent challenging learning situations with other health care professionals. Do you routinely provide a midpoint evaluation for your students? What did this preceptor do well in providing feedback to her students? What could she have done better? What is the most challenging midpoint evaluation that you remember having? What made it challenging? How did you overcome it? If you have never had a student on rotation what is your biggest concern in regards to providing them with feedback? Feedback must be direct and specific. You must recognize the stage of your learner, 3rd year (Samantha), and 4th year (Chris). You should have different expectations for these varying levels of learners. Set timelines to follow-up with students on recommendations provided during a feedback session. It is imperative to keep your word and follow-up with your students in a timely manner; otherwise students may not take you seriously. Discuss importance of providing feedback to students at the midpoint of an experiential rotation. Design a feedback session based upon individual student characteristics. When you provide feedback to your students, do you give them a structured timeline by which you will follow-up with them to assess their progress? If yes, in what format do you provide this timeline to them (verbally, written, other?) If no, what benefits do you seen in doing this? Have you ever utilized a learning style inventory or personality test to help understand the way your students like to learn? If so, which ones have you used and how has it proven helpful? If no, what potential benefit do you see in knowing a student’s primary learning style/tendencies? Show students you care and want them to do well. Make time to meet with them and discuss their progress on your rotation along with other personal/professional goals. If they see you care, they are more apt to put in the effort and be motivated to succeed. Explain the importance of frequent feedback to students during an experiential rotation. Prepare a plan to follow-up with students based on issues provided during a feedback session. Do you spend time reflecting on your performance as a preceptor during each rotation experience? If yes, what are a couple of things you have changed as a result of your reflection? If no, what benefit do you see in performing a self-reflection? During a rotation experience do you find yourself focusing more on the areas a student needs to improve on, rather than on commending them for the things they are doing well? What steps could you take to find a better balance in the types of feedback you give? List one thing you learned during the program that you intend on incorporating into your rotation experiences with students. Be sure to commend students when they do things well. Don’t just focus on the negative things. Students need to recognize that you see both sides. Student turnarounds don’t always happen and some take time. Be patient with yourself and your students. Discuss the benefit of providing an appropriate balance of positive and negative feedback to students completing an experiential rotation. Recognize situations when a student has made significant improvements in their performance. What have you found to be the biggest challenge you have faced during a rotation experience with students? If you have never precepted students, what do you perceive to be the greatest challenge? What has been your most rewarding experience as a preceptor? What specifically made that experience so rewarding? If you have never precepted students, what benefits do you see in being a preceptor? Your success as a preceptor is sometimes “invisible”. You may have to accept that you may never be told face-to-face that you have done a great job, but you have to trust that behind the scenes things are happening. Sometimes the reward is not immediate, but months or years down the road when a learner acknowledges your impact. Describe why a preceptor’s impact on student performance may not be recognized for several years following an experience. Discuss importance of not giving up on students during an experiential rotation. Do you routinely have your students perform a self-assessment prior to giving them feedback? If yes, what benefits do you see in doing this? If no, is this something you will consider doing in the future and if so, why? Have you ever had a rotation in which a student made a 360 degree improvement in their performance? If so, describe the experience and what do you think contributed to this? If no, describe a specific situation in which a student has shown some improvement in performance based on feedback you have provided them. Don’t give up. Don’t ever give up. Your hard work can truly make a difference in a student’s career. It may not be easy and it may not work for all students but, when it does happen, it can truly be one of the most rewarding experiences. Never stop learning, just like students you too can always get better! Describe the term lifelong learning. Discuss the importance of lifelong learning and its impact on both student and preceptor performance.